Social media marketing is changing the car buying game. Customers are more informed on different types of vehicles, and come into dealerships with a strategy of their own thanks to the internet. Times are changing, and your store should take advantage of best social media practices to get more customers through the door. 54 percent of people surveyed said that review sites and social media were the most helpful source to determine dealership selection. 64 percent of those surveyed said they switched dealerships based on their online reviews. 49 percent of consumers used Google Reviews when searching for dealerships. 57 percent of consumers read dealerships’ Facebook Reviews before purchasing a vehicle. In addition, more consumers are switching to researching dealerships and reading reviews on their phones. Seventy-two percent of sales customers and 67 percent of service customers primarily used their mobile device to find a dealership. 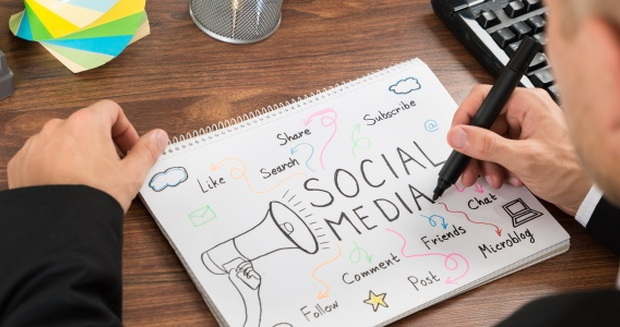 Influencer marketing – Social media influencers can expand your audience and drive more customers without it feeling “salesy.” Having a local influencer spread the message about your dealership can make your store feel more personable and relatable. User-generated content – Showing that your customers are satisfied with their experience can increase revenue. Something as simple as asking your customers for a picture of them with their new car can help spread positivity about doing business with your store. Use multiple platforms – Facebook and Twitter are the main online driving forces. But with Instagram increasing in popularity, and more influencers creating videos on YouTube, you should have a presence on every major social media platform. Interact – Social media is a two-way game. If you don’t interact with your customers, you aren’t going to get much positive feedback. If you can, respond to every review and comment that comes your way. Offer unique promotions and contests – You can increase sales by offering social media-only contests and promotions. A good tip: keep the contest or promotion limited to one social media platform, such as Facebook or Instagram, and encourage followers from other platforms such as Twitter to visit the platform offering the contest or promotion. Liking and sharing content is one of the best ways to spread the word about your store, and a contest or promotion that asks consumers to do this could give you the boost you need. Pay attention to reviews – Reviews are arguably what makes or breaks a dealership. This is one of the first things customers read. Make sure you respond to all of them, from the good to the bad to the ugly – customers are going to see it all. Be committed – Keeping up with social media platforms is a job on its own. If you don’t have a social media manager or employee, make sure you have a schedule and plan of action to keep your platforms up and running. Social media isn’t just for millennials. A wide range of car buyers utilize social media platforms and reviews to determine where they plan to buy their next vehicle from. It’s important you have a social media strategy, keep up with it, and still maintain the personable feel when these customers visit your store. Having a strong social media presence can make your dealership competitive. At the same time, if you need help driving more customers through your doors, we can help. Auto Credit Express can help you better serve your customers and reach new ones with our extensive web presence and mission to provide excellent customer service. 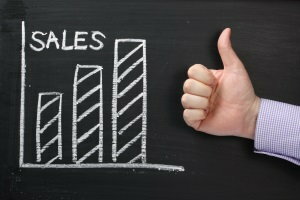 We're a top new, used, and subprime lead generating service that also offers a number of additional dealer tools, products, and services to help you along the way. Learn more about how we can help your dealership by calling us at 888-535-2277 today. If you don’t have time to talk now, fill out our online contact form and we'll reach out to you!